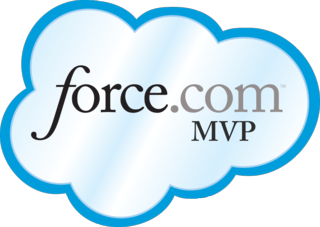 Welcome to our inaugural class of Force.com MVPs! We have launched an exciting new program recognizing the members of our community who go above and beyond the call of duty to share their leadership and technical expertise with others – we call these community members “Force.com MVPs”. This program calls out individuals who demonstrate excellence in ways that are valuable to our community. Some of them are stalwarts in the community who lead technical development through the books they’ve published or their technical presentations. Others have lent their expertise through writing code samples, answering discussion board posts, writing articles, or heading up innovative efforts. You can find all about the program details here. Force.com MVPs will now have the opportunity to make an even bigger impact on the community. They’ll be asked to take on bigger roles with shaping the way Developer Force is run, getting previews to features and new technology, and further disseminating their skills and knowledge by giving them leadership roles at conferences, hackathons and challenges, within user groups and other events. You can view more comprehensive information about the MVP Program here, which includes information about what makes an MVP, and how we selected them. Is somebody you know not on this list and they should be? Send us an email nominating your favorite developer – just send an email, telling us their name, contact information, and what they’ve done to deserve MVP status! Our committee will be reviewing nominations and announcing MVPs three times per year, so make sure we know about the oustanding contributions of your favorite developers! Congratulations to the Hack into Dreamforce Winners!